I try to give them constructive things to do and sometimes it simply backfires on me! Last week, I used up the last of my quick oats and (’cause I’m such a thoughtful mama) gave the little boys the tall, empty, cardboard container to play with. 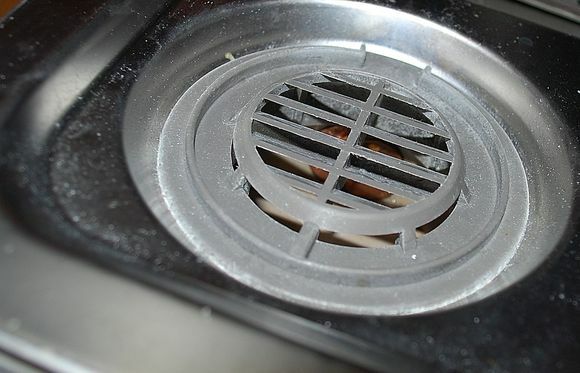 They used it for drumming on, and also to make up a new game called, “POPCORN”. You play this game by filling the container up with blocks and then shaking it up and down, letting the blocks fly out all over the room. Well, no surprise that the container soon ripped and was promptly thrown out. No, no, that was not surprising. 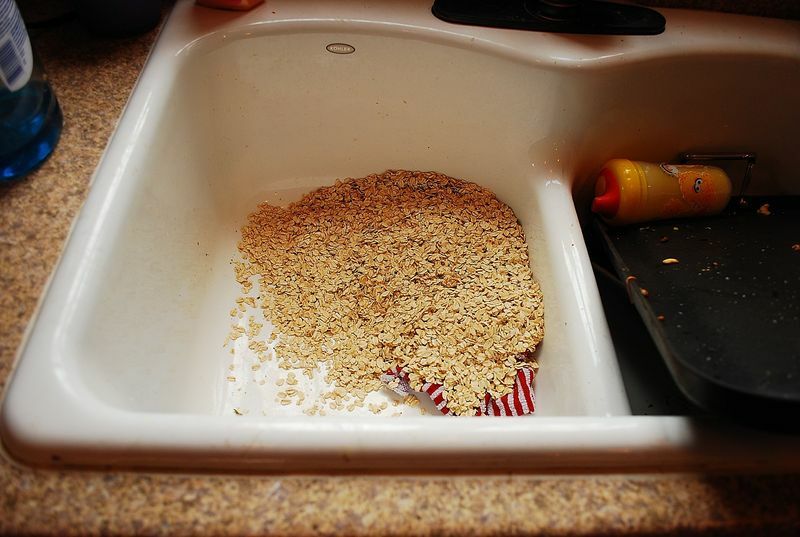 But, what WAS surprising was when Seth played with blocks this morning, remembered his beloved POPCORN game, found my almost-full container of old fashioned oats in the cupboard and emptied them all INTO MY SINK, so he could have it! It was even more surprising that I did not see him do it at all. (How???????) I found the oats hours later, after we had gone out shopping and I was putting the groceries away. Last night Rich was gone with the three older children, and I was plumb tired. 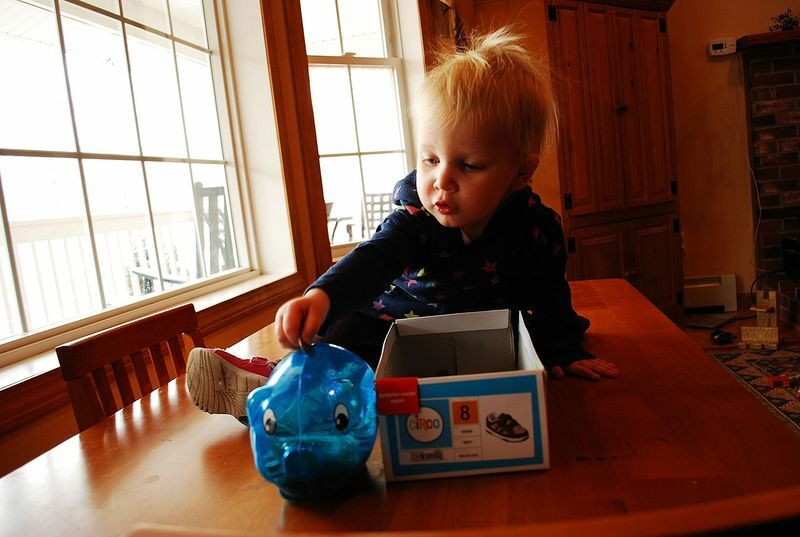 I decided to show Seth and Sarah how to insert coins into David’s and Caleb’s piggy banks. (Rich collects all his loose change into a big plastic bag). This was great fun for all four children. They were so busy and cute, especially little Sarah Joy. 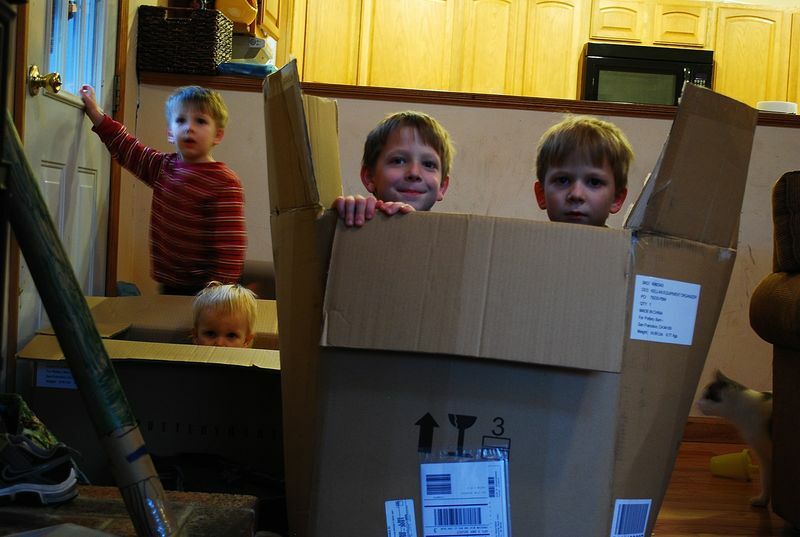 Last week, I got an order from Pottery barn (shoe racks and a storage bin for the porch) and the children wanted to play with the boxes. Well, poor Caleb. He decided to SLEEP in the big box, that night. He did, he fell sound asleep in the box. However, he had it ON his bed, and it fell off with him in it. And now that boy has the biggest goose egg and bruise I have ever seen, on his forehead. The bruise is over half of his forehead! It’s a mercy he was okay. Oh boy. We have things like this too! I can just imagine the feeling of the oats in the sink. Oh, my, it’s boring around here! You must have some family history book! hi shanda…….you are definitely “living the life”, and a fun one at that! thanks for the smiles. Oh I am so glad it isn’t just us! And why do they come in 3s like that?! It’s a good thing God gives our children )and us) lots of mercy. One time our oldest girl and the neighbor boy “watered” our car. Her mechanic daddy was not too happy. They inserted the hose in the gas tank and turned on the water. oh those busy little cuties! Glad Caleb is alright. 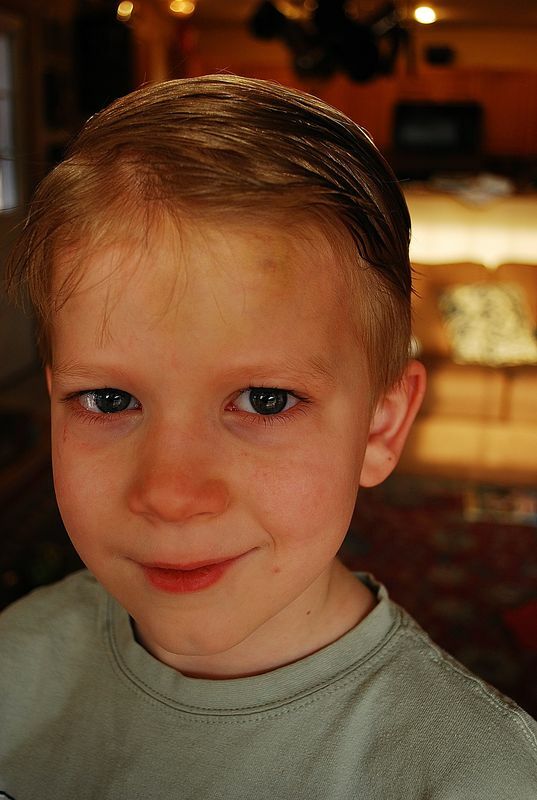 When you look at the bump on his forehead would you pray for sweet Colton, my cousin’s son? He is six years old and has epilepsy. He has been doing better on a special diet and meds, but this week something went off and he is having hundreds of seizures. Very common for him to have an egg on his forehead. In the midst of it all he looked up at Dad,John, who was holding him and said, “I am having a good day today”. Such a brave little guy. Wow now that comment I accidentally left is suddenly not there! I think it’s cause I’m on my phone. Frustrating. yep definately a mom of many aged children. nice to know we are all normal. kids are just hilarious! no doubt they had fun !